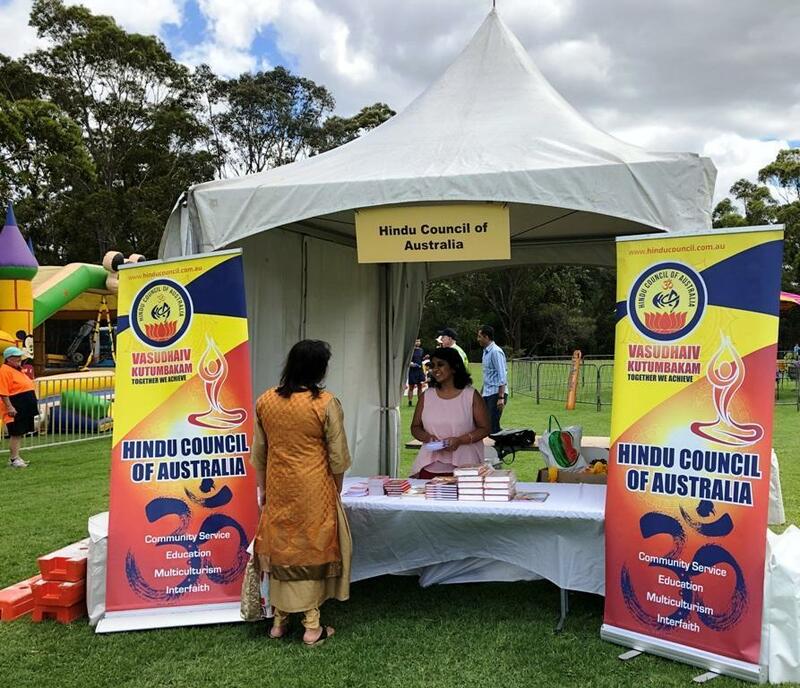 Hindu Council of Australia celebrated Deepawali in Strathfield on 18th November 2018 at Strathfield Park. The event was supported by Strathfield Council. Over 1500 people attended from different communities including Australians and korean community. Jody Mckay Member of Parliament of state from strathfield and Gulian Vacari Mayor of Strathfield attended the event and welcomed by Mr.Jay Raman NSW President Hindu Council of Australia NSW. There were 12 stalls which include Food, Real Estate, Indian dresses,Yoga stall and Ekal Youth stall. There were Free Rides and Free Mehndi which was attraction for children and Ladies. Cultural Programme started from 11am and went through till 4.30pm. There were classical dances, Bollywood Dances and songs which were sung by Mr Vijay Jogia well known singer in Australia.